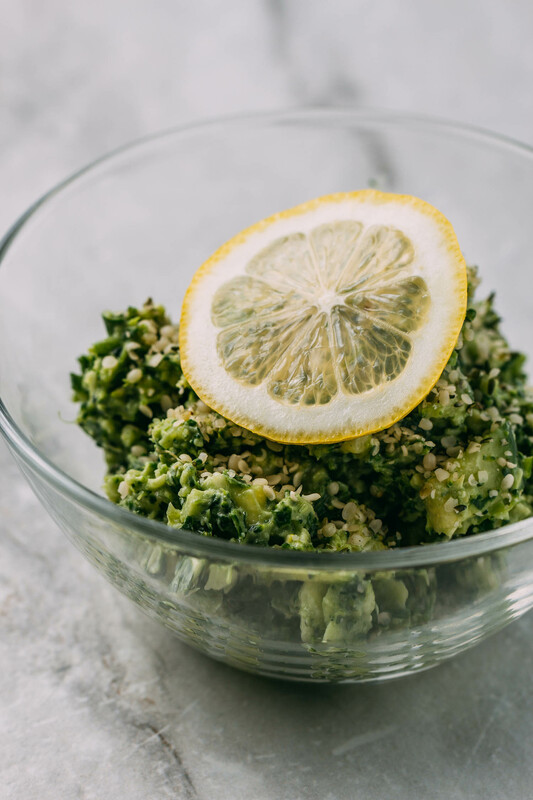 When you want a tasty, cleansing and refreshing bite, look no further than our Raw Broccoli Green Detox Salad & Avocado Dressing. The creaminess of the avocado, garlic, and lemon combine with the flavors of the raw greens beautifully. Our healthy, plant-based, vegan bowl makes the superfood ingredients shine. Seriously, this combo is a show stopper when it comes to showcasing the terrific flavors of power-packed greens. So let’s talk about the central green of this dish, the broccoli. We love those little trees of green goodness. And as it turns out, the fun treetop looking part of the broccoli is also the most nutritious! Broccoli earns a top spot on the superfoods list because it delivers a healthy dose of sulforaphane. Sulforaphane is a compound thought to fight off cancer by the way it helps stimulate detoxifying enzymes. According to the Journal of Agricultural and Food Chemistry, raw broccoli provides significantly more beneficial sulforaphane than cooked. This article from Eating Well is where we learned about this particular nutritional benefit. Broccoli seeds and florets have the highest proportion of bioactive compounds compared to broccoli stalks. Additionally, florets provide two to three times more health-filled glucosinolates and about twice as many polyphenols compared to the stems. Fortunately for us, this article explores the subject of broccoli nutrients a little further and is very easy to understand. So to gain the most nutrients from your broccoli, eat some of those little trees raw! And to give your body what it craves, be sure to check out our recipe for a Peanut Broccoli Buckwheat Bowl it’s another practically no-cook recipe. For those times when you want to enjoy your veggies lightly cooked, try 5-Minute Lemon Alfredo with Roasted Vegetables. Next, we want to be sure and talk about the hemp seeds that you scatter across this dish before serving. Even though they’re tiny, they’re power-packed. 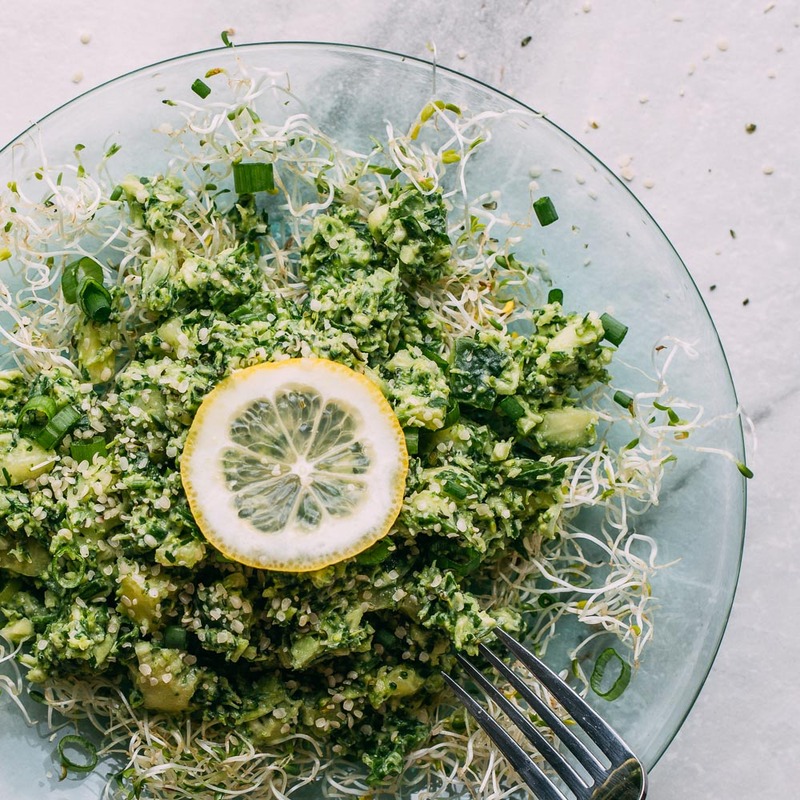 Quite honestly, our Raw Broccoli Green Detox Salad & Avocado Dressing wouldn’t be the same without nutty & nutritious hemp seeds. 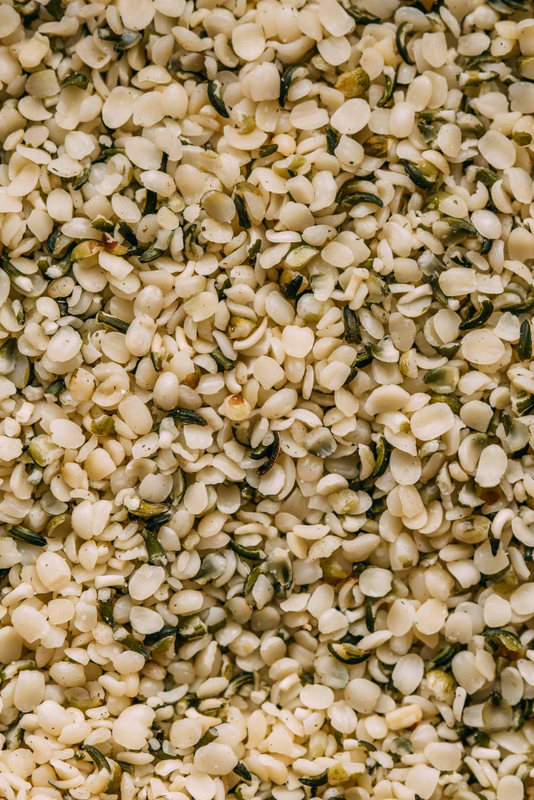 Hemp seeds provide plant-based protein that’s hard to beat. And while hemp seeds are a bit higher in calories than some other plant protein sources, they’re worth it. Nutritionally, hemp seeds provide a perfect balance of Omega-3 and Omega-6. Overall, seeds are some of the most potent foods. Seeds contain amino acids, iron, B vitamins, and magnesium. They’re super easy to digest and contain roughly 13 grams of protein in only three tablespoons. Hemp seeds are exceptional; we often add them to our smoothies for a protein boost! Before going any further here’s a shout out to The Awesome Green for one of their cooked broccoli dishes. We noticed their recipe on Facebook and, with warm weather almost always at hand in our particular neck of the woods, were inspired to create this no-cook detox recipe. We also opted to make our raw recipe refined oil-free! Instead of coconut oil or olive oil for moisture and creaminess, we used magnificent avocado. Using avocado to replace oil is something we came to learn from reading comments on one of the Facebook groups. We’ve learned so much about plant-based vegan cooking from Facebook groups. And we appreciate each group more than words can say. 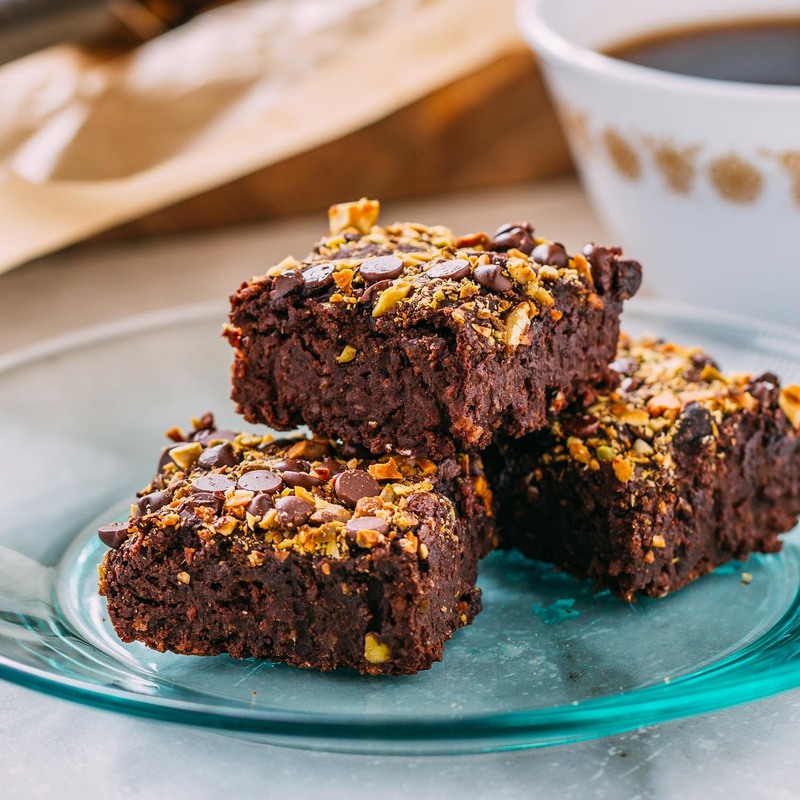 By reading comments shared by like-minded plant-based cooks, we learn something new each day! We recently started a Facebook group of our own, and you’re invited to join and share what you’re cooking. Anyhow, let’s get back avocados and why they’re a terrific way to skip the oil in salads, dressings, and sauces. Avocados are good for your heart, reduce blood pressure, good for your eyes, aide in weight loss and, for the little ones, avocados help the development of the central nervous system and brain. To read details about these particular benefits read this article shared by The Food Network. By the way, here’s a helpful info-packed article if you’re interested in learning about baking with avocados instead of oil. We could include more nutritional info but we want to let you get to the fun part, the tasting! We’ll talk about the benefits of parsley, garlic, and lemon juice another time. We’re incredibly proud of this delicious combination of raw ingredients. 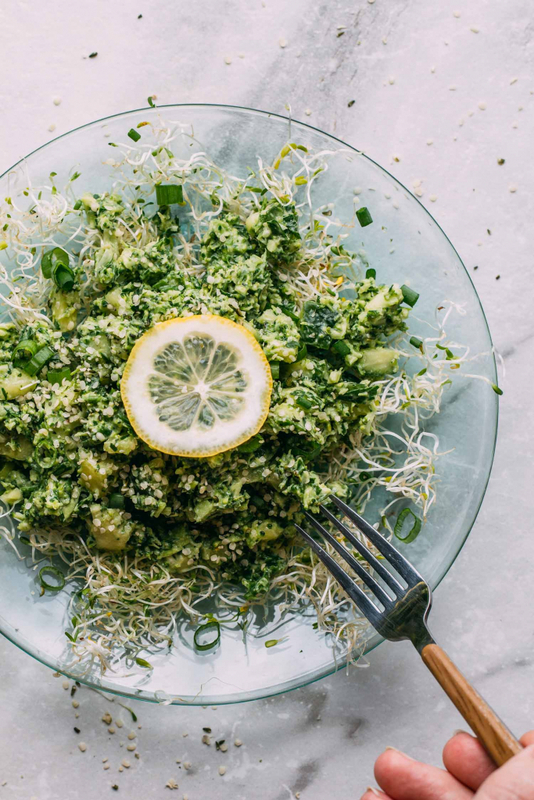 Raw Broccoli Green Detox Salad & Avocado Dressing is a dish you can feel fantastic about enjoying and sharing with everyone you love most! As always, thank you for reading and for sharing our recipes. And thank you for joining us in our daily pinning fun and following on Pinterest, too! Every recipe you Pin and every kind word shared about our dishes helps others recognize that eating plants instead of meat and dairy tastes and feels, really, really, good! 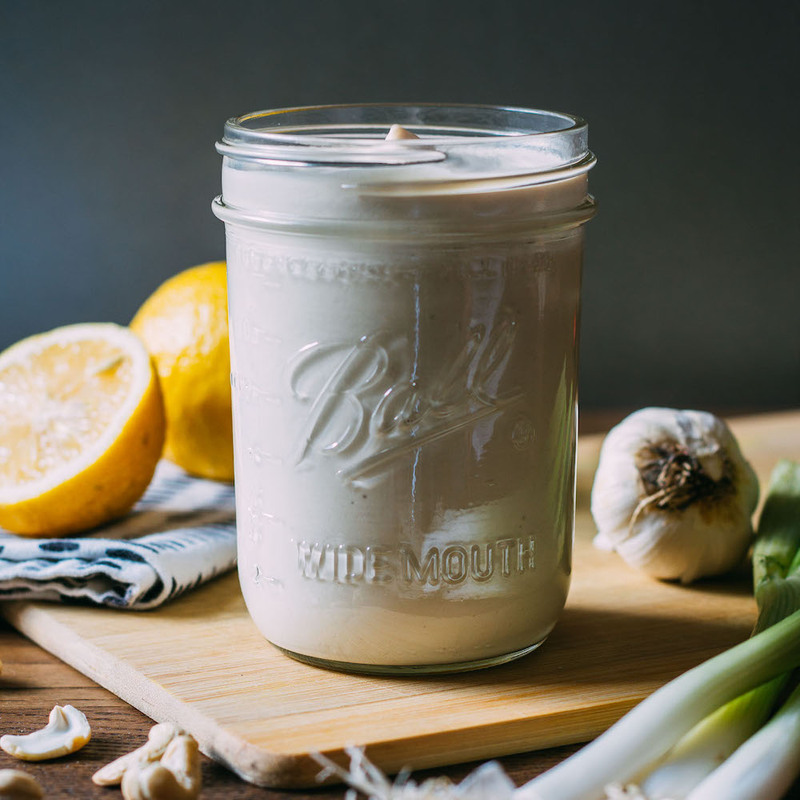 It’s incredible but true that we can help our body function optimally by nourishing it with wonderfully nutrient-rich whole foods such as broccoli, cucumbers, lemons, seeds, garlic, and fresh herbs! And when you combine a handful or so of these beautiful ingredients, the taste is phenomenal! 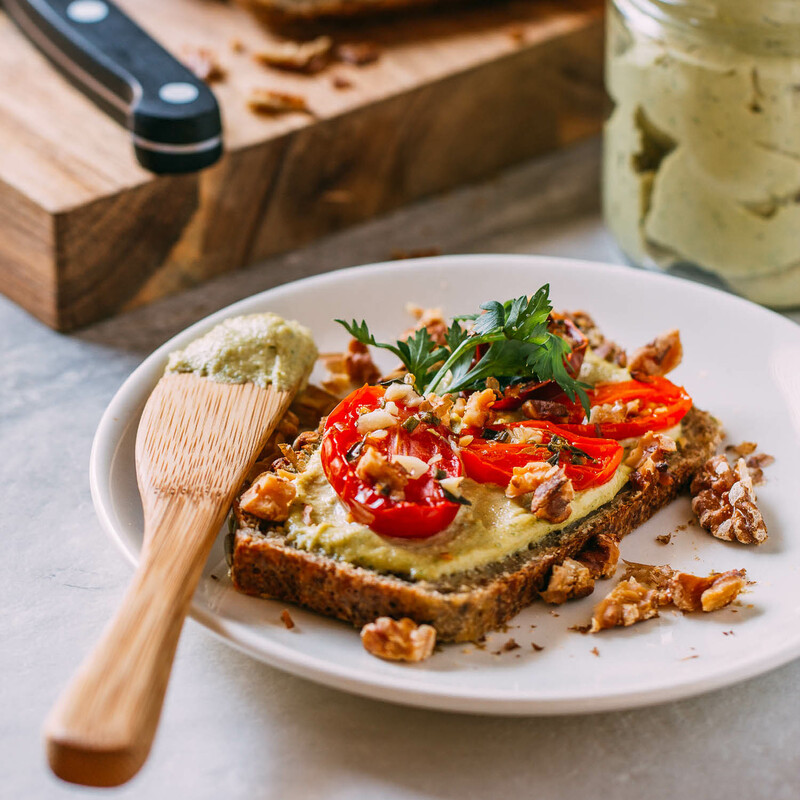 Serve this awesome, no-cook, fabulous flavor bomb as a fresh side or use it as a savory sandwich spread in place of greens! We even like this on toast or stirred into warm rice, much as you would enjoy a pesto! Here’s a few more recipes you’ll enjoy if you’re a fan of the health benefits of broccoli and other fresh greens. First, there’s our simple Green Veggie Sandwich complete with oil-free Cashew Mayo that’s off the charts! And then there’s our Peanutty Broccoli Buckwheat Bowl and our 5-Minute Lemon Basil Alfredo with Roasted Veggies! an entire bunch of fresh parsley, chopped - One bunch of parsley is usually equal to about two cups of fresh parsley sprigs. Two cups of sprigs typically end up being about one cup of chopped parsley. 2 tbsp of raw tahini - We used this brand of tahini. 1/4 to 1/2 tsp of salt - We use this pink Himalayan sea salt in most recipes. 1/2 to 1 tsp of miso - We like this organic brand. 2 tbsp of raw hulled hemp seed hearts - We use this brand. In a food processor, or by hand, mince the garlic and place it in a large mixing bowl. Then, rice the broccoli florets and put them with the minced garlic. Ricing the broccoli means merely to chop it super small so that it resembles rice. Do the same with the bunch of fresh parsley. Next, dice the cucumbers and green onions. Add the diced cucumber to the bowl with the garlic, broccoli, and parsley. We like to leave the green onion in little circles and set them aside to add to the top of the salad once everything is combined. Now, in the food processor or by hand, blend the tahini, avocado, lemon juice, salt, and miso. We add a little salt at a time to season it just right. Once it's seasoned to taste, stir the dressing into the ingredients in the mixing bowl. Taste and season again as needed. 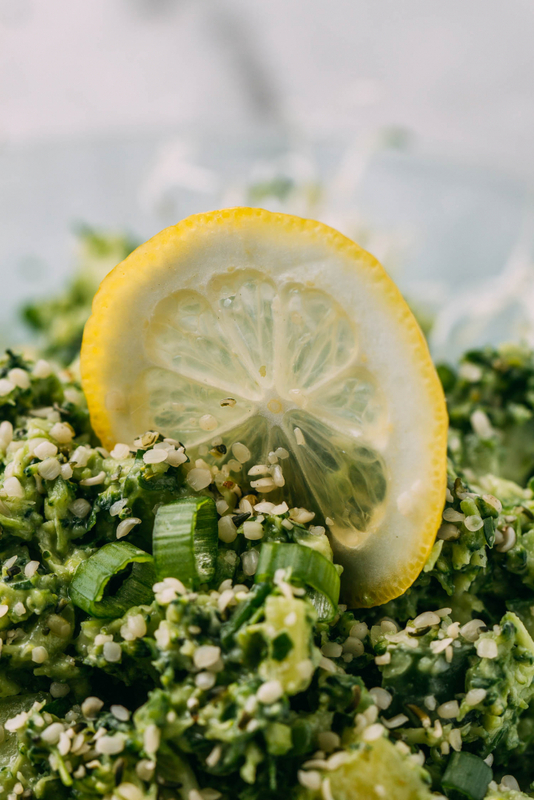 Finally, top your delicious detox salad with hemp seeds and the chopped green onions that you set aside earlier. Serve and enjoy! Our raw green detox salad stays fresh stored in an airtight dish in the fridge for days. The lemon juice keeps the chopped greens and avocado looking green and inviting. Trust us; we were surprised by how well this salad maintained its appeal. We estimate that one side serving is about 1/2 to 1 cup of salad, depending on how small you've shopped the broccoli. This recipe makes enough for about eight side-sized portions.